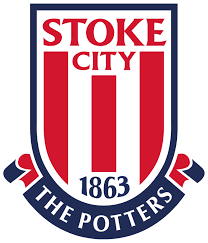 New Stoke manager Nathan Jones is looking for offload veterans Peter Crouch and Darren Fletcher from his squad before transfer deadline day. That is according to The Daily Mail who report that Jones wants to freshen-up his team, and does not see a long-term future for either player at the bet365 Stadium. Ex-Manchester United captain Fletcher, who is 34, has only made 10 Championship appearances for The Potters this season; Crouch, three years his senior, has been used more frequently, but has only found the net once in 22 appearances. Enquiries about both players have been made by other teams, but any potential deal for either may be complicated by wages, with both players amongst the biggest earners at the club. Another player to leave the club could be ex-Barcelona striker Bojan Krkic who has not made a senior appearance for Stoke since November, and who has failed to live up to expectations during his time at the club.